Trepas was designed in 1966 and means clover in latin. In connection to this, Karpf explains "when the three different metals of the Trepas material are placed next together in the shape of a clover, the flame is reflected differently in all of the different colors". The architect’s fascination with the living flame inspired him to design the Trepas tea-light holder. The individual candle holders give one the possibility to mix and match, and to create patterns and shapes. 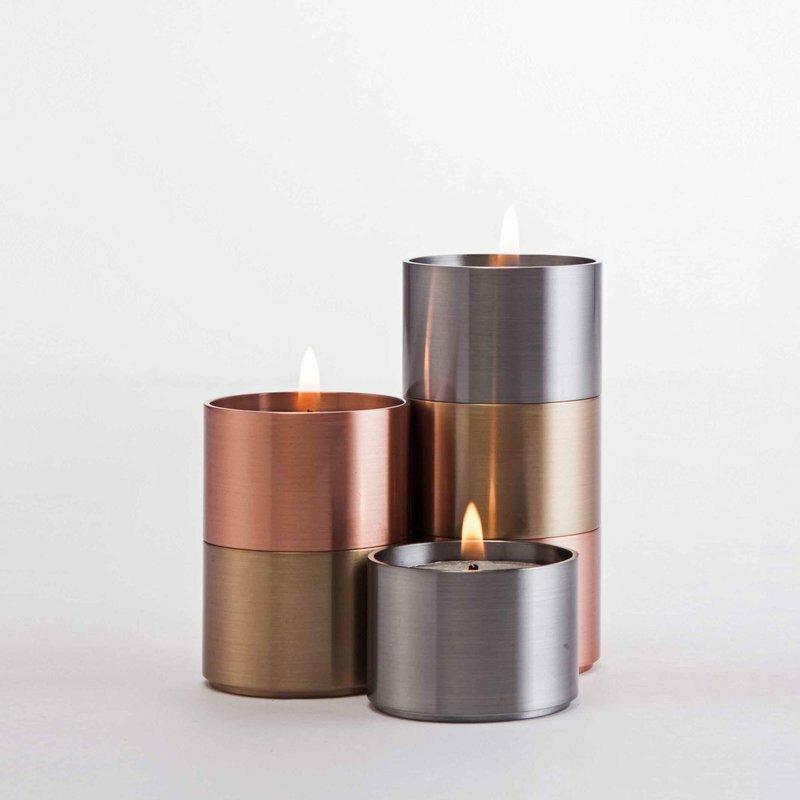 The candle holders is in Copper, Stainless Steel and Brass.